In honor of National Reading Awareness Month, HISD and a coalition of Houston-based organizations (led by the Barbara Bush Houston Literacy Foundation) have embarked upon the #Discover15 campaign to encourage parents to read aloud with their children. The initiative is designed to help parents find time in their busy schedules for reading with their kids. Discover15 takes an outside-the-box approach, focusing on the reading opportunities that exist in daily life. An HISD News Blog post announcing the initiative suggested ways to integrate reading aloud into activities like grocery shopping, making dinner, and your daily commute. A later update included a flyer with more than a dozen suggestions printed in neat little boxes, which students and parents are encouraged to put on the fridge and use as an interactive checklist. Parents can also tweet their own suggestions with the hashtag #Discover15. Discover15 is a great way to raise literacy awareness among HISD parents. But why stop there? If you’re a non-HISD parent, consider this a PSA: this is a great tool that you, too, can use. If you’d like to have more time to read with your child, Discover15 can probably help you find a way. So get the flyer for your fridge and start reading! 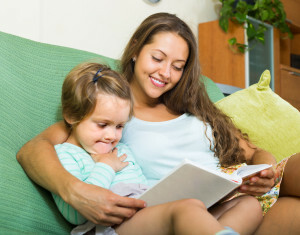 Did you know that 15 minutes of reading aloud daily has been shown to have a positive impact on child development? Learn more at readaloud.org.